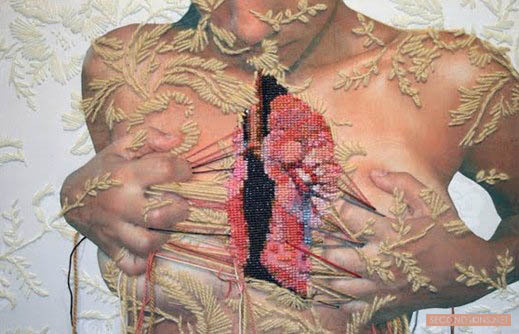 Embroidery work by peruvian artist Ana Teresa Barboza from Lima, who studied painting in Peru & pattern making in Paris. She mix embroidery with drawings, playing with the line, the embroidery's stroke / pencil's stroke. She matchs 2D & 3D, playing with the surface & the frame's limit. Embroidery comes to invade the work, comes to overflow. 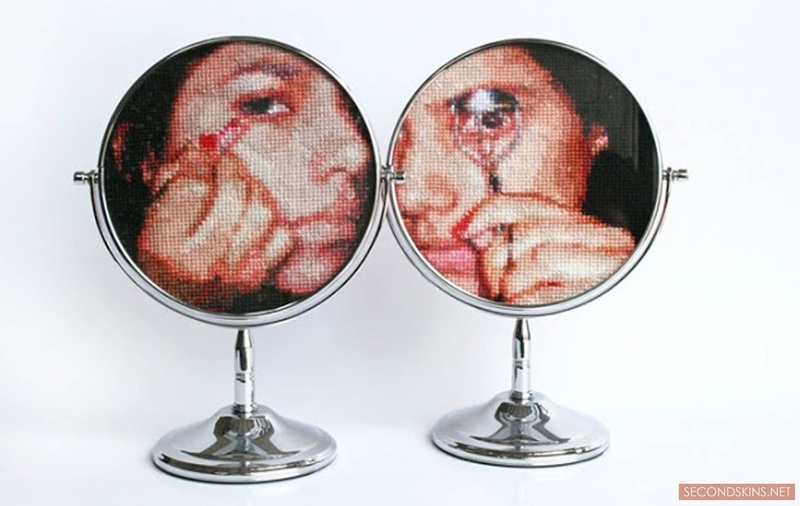 A work on human body between suture stitch & sewing stitch.